Josh and Amy are passionate about seeing God transform lives through the power of his Word. They are working in partnership with churches and Christian organisations to help Australians engage more deeply with God through the Bible. Since 2004, Josh has volunteered on Scripture Union camps, helping people discover the joy of seeing the Bible come to life. In 2011 he was deeply challenged by research which showed that only a small portion of Australian Christians regularly read the Bible. He felt convinced that God wanted him to do something about it. This has led to his current role with Wycliffe, focusing full time on Bible engagement. 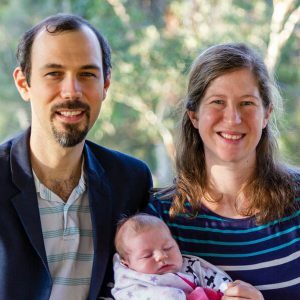 Amy married Josh in 2017 and has now joined Wycliffe Australia’s Bible engagement team. Amy has experienced the power of God’s Word throughout her own life. She wants to be a part of seeing others share that experience. Josh and Amy long to see the Holy Spirit transforming lives and communities through Australian Christians knowing and living God’s Word.